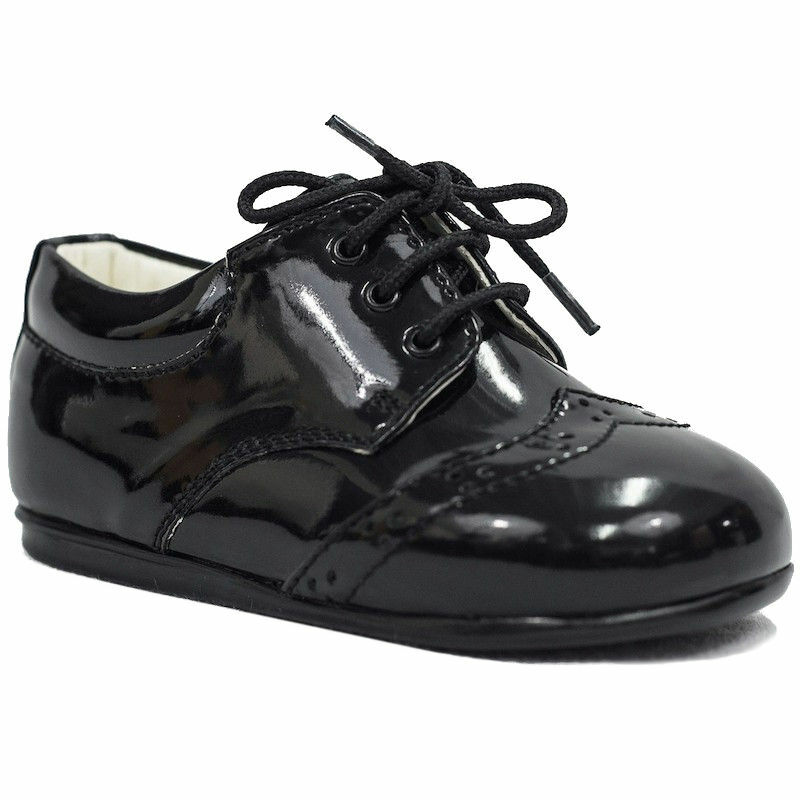 Boys black patent brogue lace up shoes, formal shoes for your little boys christening day, attending a wedding or simply a special occasion. These lovely shoes are of a black shiny patent with a brogue design on the front of each shoe. They have a lace up fastening with a hard sole for walking toddlers / children. Lovely pair of shoes - fast delivery. Would use again and recommend to friends and family.